As a child, I used to visit my Great Aunt in Summerland with my family during the summers. Besides having a cherry orchard and a small sandy beach on the Okanagan Lake, my Great Aunt also had a living room full of looms with walls decorated with tapestries collected from all over the world. We would spend part of our time there in the cherry trees, fingers and lips stained from the juice, and part of our time under the willow by the lake with small looms in hands, and the rhythms of weaving in our minds. Fast forward twenty years or so, and my father and I are traveling again to Summerland with my 2 year old daughter to bring home one of those enormous floor looms that used to sit in the living room by the lake. My Great Aunt by then had experienced a few strokes and was now living in the small cottage on the property, with a small loom to keep her hands busy when she was able. Her daughter wanted to see the big loom, made by her father, go to someone in the family who would actually use it. 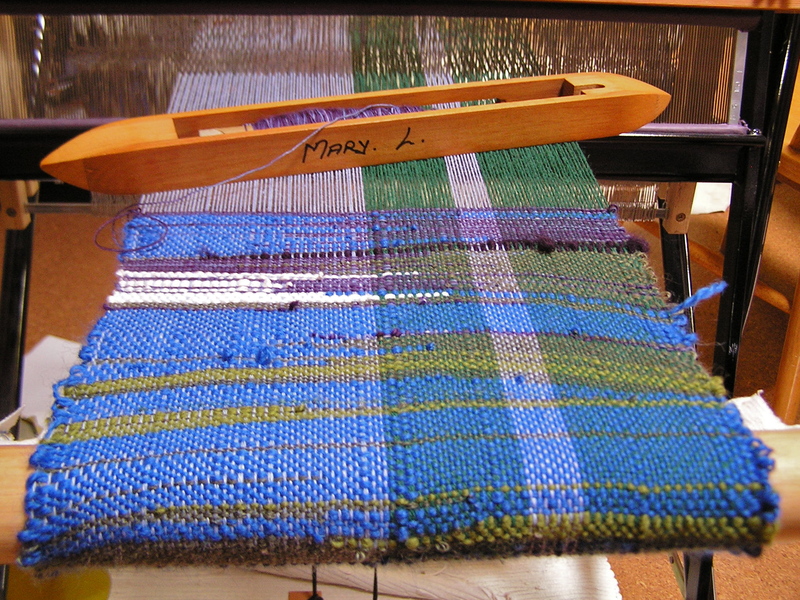 I had been feeling drawn towards weaving since my discovery of knitting, spinning, and felting, and so my anticipation of the floor loom from my Great Aunt was deeply embracing and supported by those memories from childhood. Space was an issue, and I have to be completely honest in saying that now, 7 years later, it is still bundled up in storage waiting to be explored. Building an art studio into our house was integral into getting the loom into use. However, now that the art studio and the house (first half) is done, the floor loom is still too big while part of the studio is being used as a temporary bedroom until we get the second half of the house completed. So my father found a small folding loom with the name Saori printed on it, and passed it along with the thought that it might be a good way to get started. I discovered that Saori is not only a maker of looms and weaving accessories, but is a whole philosophy of weaving. ‘SA’ of SAORI has the same meaning as the first syllable of the word ‘SAI’ which is found in Zen vocabulary, meaning everything has its own individual dignity. And the “ORI” means weaving. In Japan in the late 1960s, Misao Jo, then in her mid 50s, decided she wanted to weave a sash (obi) for her kimono by hand. Her husband and sons built her a hand loom, and her 84-year-old mother taught her how to weave. Later, an obi that she had woven was rejected from a weaving shop because of a “flaw”, but she liked the flaw, and decided to weave with more irregularities that reflected her unique individual expression. This type of weaving was embraced by friends and finally by a high end shop, which requested more of her pieces of weaving. 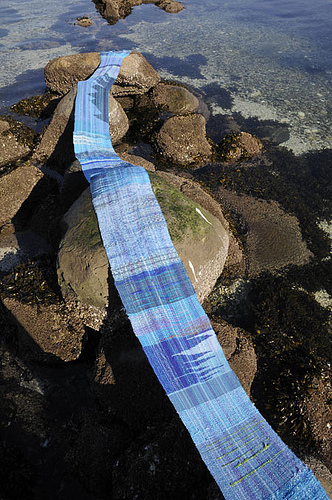 She moved into teaching, beginning with just 5 students, and has now spread to countless studios, schools, and organizations all dedicated to encouraging the unique creativity and accessibility of weaving to people everywhere. Consider the differences between machines and people. Let’s adventure beyond our imagination. Misao Jo’s teachings were based on the idea that there is no wrong, that mistakes are the essence of design, and that beauty arises out of this freedom. Often called free-style weaving, or freedom weaving, it holds a traditionally admired element of understanding beauty with lack of intention. Japanese people have traditionally admired “the beauty with lack of intentions” in nature and adopted it into art forms such as gardening, ceramics and painting. They admire the beauty of nature leaving everything as it is, finding the beauty in the wild flowers, grass or trees in Japanese-style gardens built with as little artificial taste as possible. In ceramics, for example, Japanese artists often make a cup in an irregular shape leaving a finger print and some designs accidentally marked while it is fired. In SAORI, the beauty of the cloth is admired in the same way. It is the traditional view point of Japanese people who admire the “beauty with lack of intentions” in nature and art, that has developed the unique philosophy of SAORI. 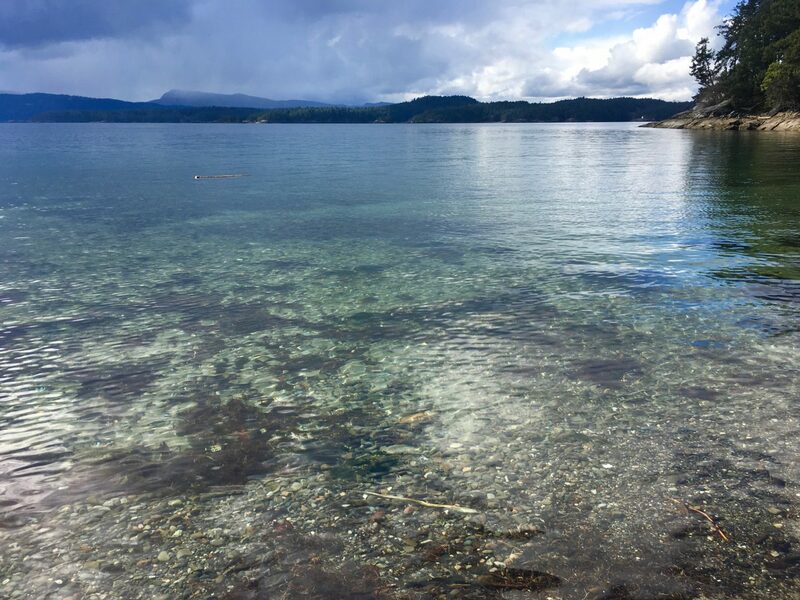 I took a day long class with Terri Bibby, a weaver from Salt Spring Island, and fell into it like it was breathing. Terri is a long time weaver who discovered the Saori style not so very long ago, and has happily settled into passing on it’s philosophies. She helped me learn how to warp my loom, and then she beautifully allowed my own sense of exploring colours and textures lead me on my own path of learning. She has sewn many of her weavings into simple and flowing clothes, which also appeals to my sense of usefulness in my creative pursuits. 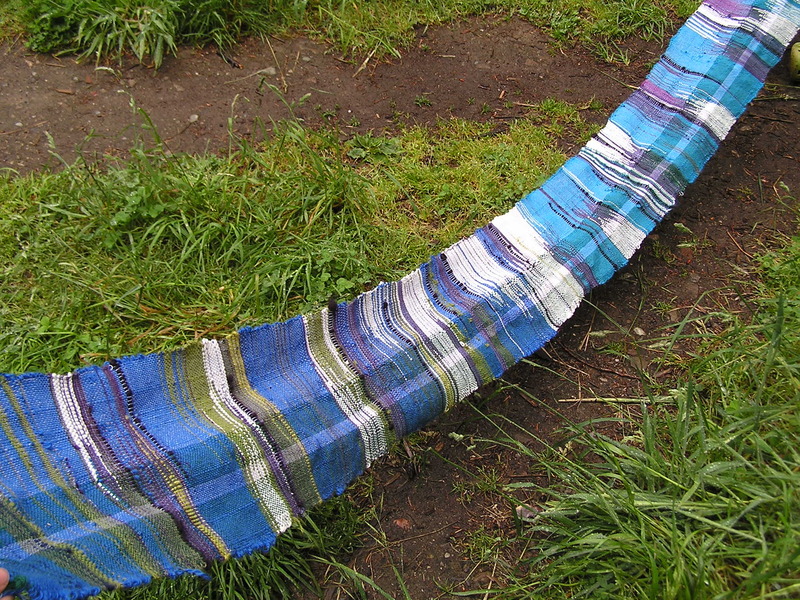 Here is her site, offering workshops and retreats….. www.saltspringweaving.com. Now I have the shuttle of my Great Aunt Mary to pass back and forth through my loom. I am so grateful for such an accessable way to get started. The idea of tackling the big floor loom was definitely a slightly daunting venture, and I am glad that it will be a few years yet before we are able to set it up in the studio. By then I think I will be ready for the challenge of more, of bigger, of new possibilities for extending the saori philosophies. I have already implemented them into many other places of my life, and I realize that this approach is intuitive and natural. It fits with natural building, (so long as everything works! We must remember that mistake making is limited, and what we are making still has to function properly). It applies to a much larger picture of ourselves, and of our place within our community, locally and globally. I have always felt a truth in the metaphor of the weaver at the loom, of the threads of life that cross and form patterns, that we are woven and we are the weavers of the world. We weave and learn together in search of our true, hidden selves.